All Fish Haven homes currently listed for sale in Fish Haven as of 04/19/2019 are shown below. You can change the search criteria at any time by pressing the 'Change Search' button below. If you have any questions or you would like more information about any Fish Haven homes for sale or other Fish Haven real estate, please contact us and one of our knowledgeable Fish Haven REALTORS® would be pleased to assist you. 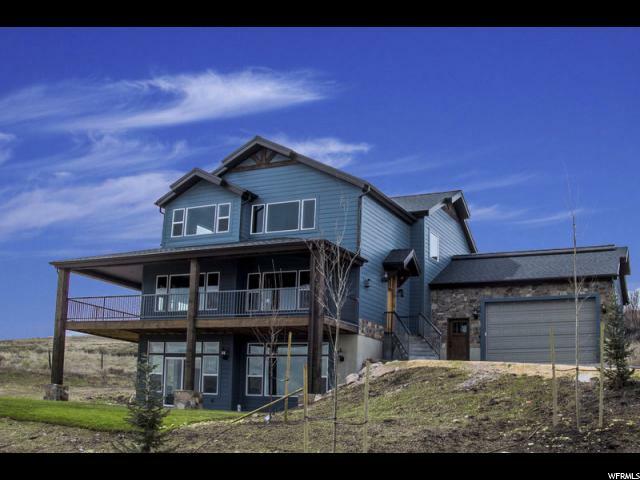 "One of a kind, incredible property at the very top of The Reserve in The Summit. 360 degree views of mountains, valley and Bear Lake. Amazing landscaping with turf, rocks, trees and shrubs along with a HUGE paved/concrete driveway/parking area. This house features a massive, covered deck, private master deck, three levels of living and huge view windows. Attached garage has three oversized bays with one being for an RV. Detached garage/shop has parking for eight more with additional partially finished space above for a bunk room or man cave. This house is a MUST see! Reserve amenities include pool/hot tub/splash pad, clubhouse with exercise room, conference area, sports court, playground and gated beach access. Fish Haven Canyon access for all ATV/UTV and snowmobile lovers. Contact listing agent for more information. " 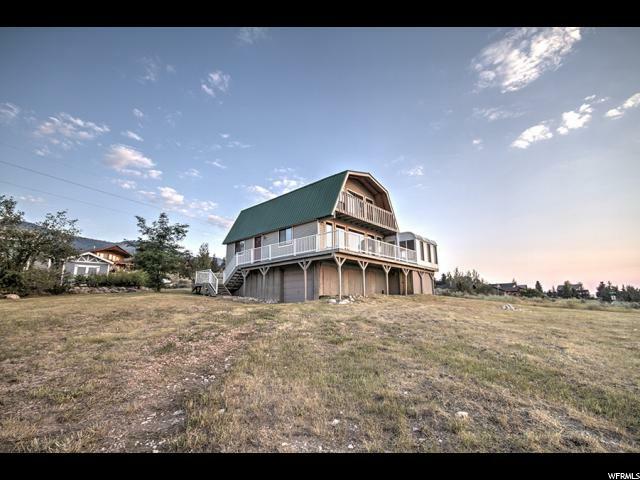 "One-of-a-kind 3+ACRES right in FISH HAVEN w/beautiful BEAR LAKE VIEW & LAKE ACCESS! Incredible main home w/in-floor heating, Brazilian Granite, Cherry Cabinets, Wolfe & Sub-Zero Appliances. MASTER SUITE w/SUNroom & WET BAR. 360-degree 3rd floor observatory w/skylights. Plus GUEST house (4th floor sq footage), HOT-TUB BATHHOUSE, BOATHOUSE w/OFFICE, Garage, PLAYHOUSE, GARDEN SHED, STORAGE SHEDS. Large TREX DECK w/PERGOLA-cover overlook beautifully landscaped yard w/mature TREES, FIREPIT, GARDEN & PASTURE fenced. Close to Public Lands TRAILHEAD, MARINA, SKIING. Can be RENTED - EXCELLENT INVESTMENT! NO HOA or CCR's. Call Agent for detail info sheet." "Nightly Rentals are Allowed! BEST LOCATION! FURNISHINGS INCLUDED. Immaculate cabin located in Aspen Creek Meadows Fish Haven Idaho. You will enjoy the fantastic views of Bear Lake! Beach access, and to the national forest land. 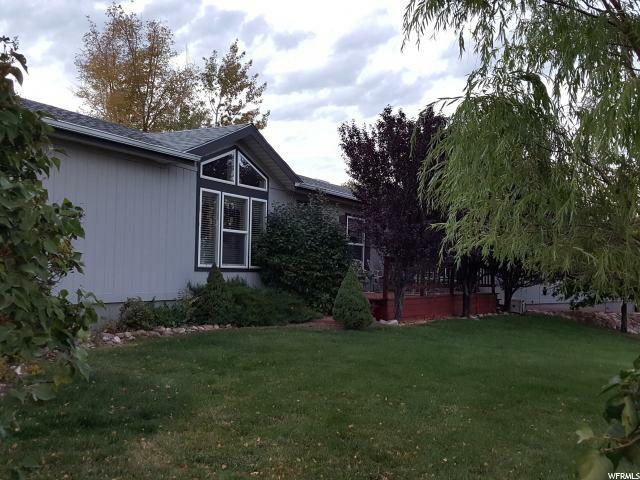 Large front deck with views of the entire Bear Lake Valley. Large Master bed and bath, each bedroom has access to a bathroom, granite tops throughout the home, vaulted ceiling and 9 ft. ceiling in the basement, theater room with leather recliners, large open family room, lots of storage, full walk out basement, fire pit, large garage with an additional detached garage that has a living area above the garage. RV Parking This cabin has so many extras! Additional building lot .88 acres can be purchased. Ask agent for details. " "GREAT INVESTMENT! Custom cabin in gated community of The Reserve at Bear Lake with nightly rental history already established! Beautiful rustic accents along with stone and wood finishes. Two story stone fireplace, open kitchen/dining/living, covered deck. Sleeps 30! Reserve amenties include Clubhouse, pool/hot tub, splash pad, exercise room, sports court and gated beach access. Property is being sold fully furnished, ready to rent out! Call listing agent ASAP!" 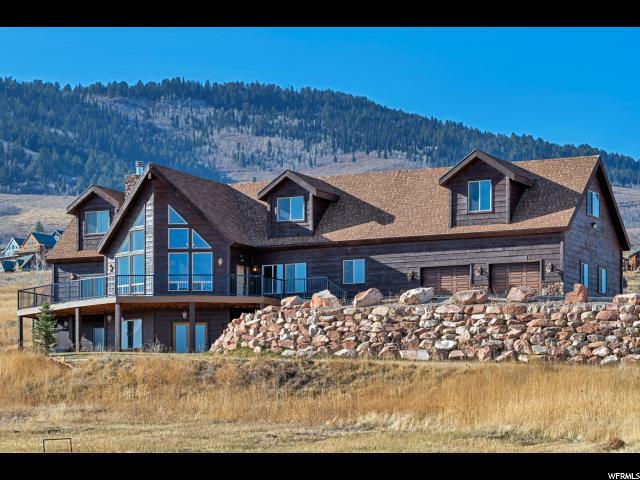 "REDUCED!1 Beautiful custom log home in the gated community of Canyon Estates. Amazing views of Bear Lake, mountains and canyon. Large stone fireplace in great room, open floor plan with large dining room with amazing surround view windows, great kitchen with granite and stainless steel. Deck runs the length of house, downstairs has a huge family room with a walkout basement to a grassy play area. Oversized 3 car garage, 40' by 42' with two 8' doors and one 13' door (large enough for an RV)! Oversized paved driveway and parking area and plenty of room with 5 acres. " "Great opportunity to buy into the best beachfront community! No formal HOA. 2 lots sold for 1 price. 2 water shares sold to provide access for each lot into an established water system. Build your dream home or bring the campers and enjoy a little piece of Bear Lake heaven. Pristine sandy beach even when the water is at its highest. " 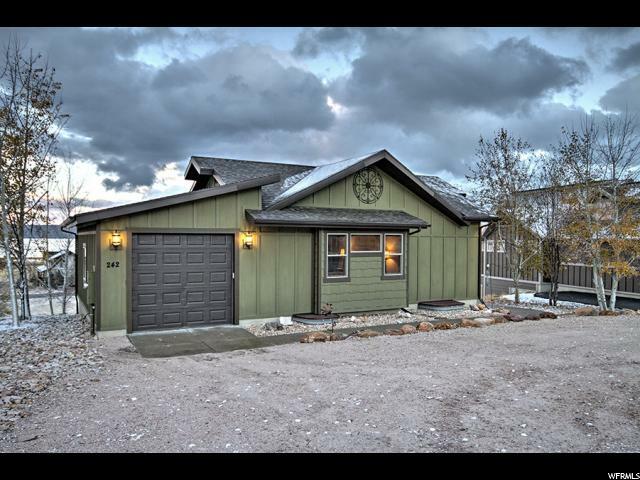 "New construction in the Reserve at Bear Lake! Nightly rental area! Great investment property! granite through out, open kitchen/dining/great room with large deck. Amenities include gated community, clubhouse, pool, hot tub, splash pad, sports court, playground, gated beach access. Call listing agent now for more details! " 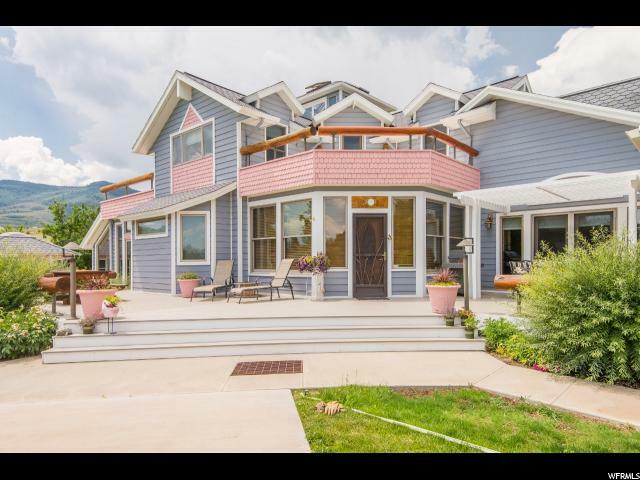 "Custom built home at the top of Bear Lake West with panoramic views of Bear Lake and surrounding mountains and valley. Many upgrades! Open floor plan with main level living with a beautiful kitchen featuring Prime Cherry cabinets with Acajou stain, granite/quartz countertops, double ovens, GE Profile appliances, self- close drawers, eating bar, LTV throughout most of main floor and a huge deck/patio make entertaining and watching the local wildlife a delight! The master bedroom/bath has a big walk-in shower, double sinks, and a built-in vanity along with a walk-in closet. Basement is plumbed for a second kitchen if desired along with a cold storage room! The atrium on main floor is vented into main house to help heating costs along with two ventless fireplaces. Custom railing on deck and stairs, heat tape on east/west roof line, ready for drip and sprinkler system, ready for AC....this house is a must-see! Brand new three-person master spa is included! Amenities include Cooper's Restaurant, tennis courts, pool/hot tub and discounted golf at Bear Lake West golf course. Call listing agent to schedule a private showing. " "Toy lovers dream! 10 car garage! This home is 2 separate properties in 1. One has a 4 bed 2 bath home with a 6 car detached garage. Other one has a 1 bed (possibly 2) 1 bath with a small kitchen and large family/game room and an attached 4 car garage with 14 ft RV doors. Property is being sold all together but could be separated. Home has a new furnace and roof. Direct access to the national forest trails. Call listing agent for full list of details. " "Cute, cozy custom cabin in The Chalets at The Reserve with views of Bear Lake and mountains, close to amenities--clubhouse, pools, hot tub, sports court, and the beach! Open great room/dining/kitchen, covered deck and patio, granite, stainless steel appliances, rock fireplace u, freestanding gas fireplace down and outdoor fire pit. NIGHTLY RENTALS ALLOWED! Great investment! Call listing agent for a private showing. " "Beautiful cabin with gorgeous Bear Lake views!! Lots of updates including new siding and exterior paint, new fridge , new patio and additional cement work, and new deck. Cabin features open floor plan, stamped cement, circle drive, double garage, wood floors, master suite, tongue & groove ceilings, 3 family rooms, and much more. Furniture and furnishings are negotiable. Call listing agent today for a tour." 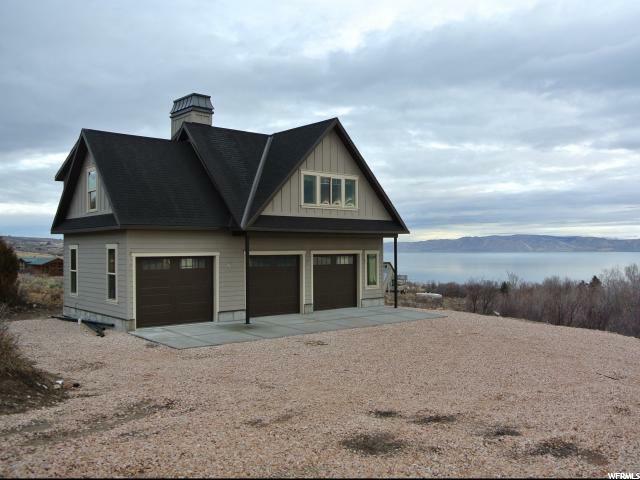 "New construction cabin in Bear Lake West with lake and mountain views and year round access. Great room, dining, kitchen opens up onto covered deck with a second living room in basement. Five bedrooms and three baths--great for guests. Access to Fish Haven Canyon trailhead for ATV/UTV, snowmobiling, horseback riding and hiking. 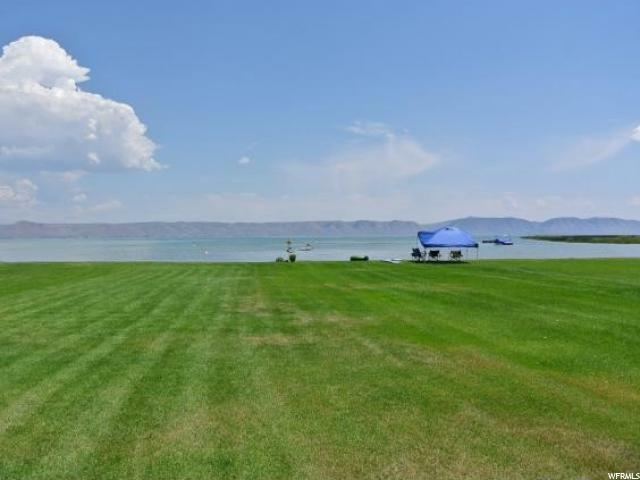 Amenities include pool/hot tub, tennis courts, Cooper's restaurant, clubhouse, discounted golf at Bear Lake West golf course, and beach access. " 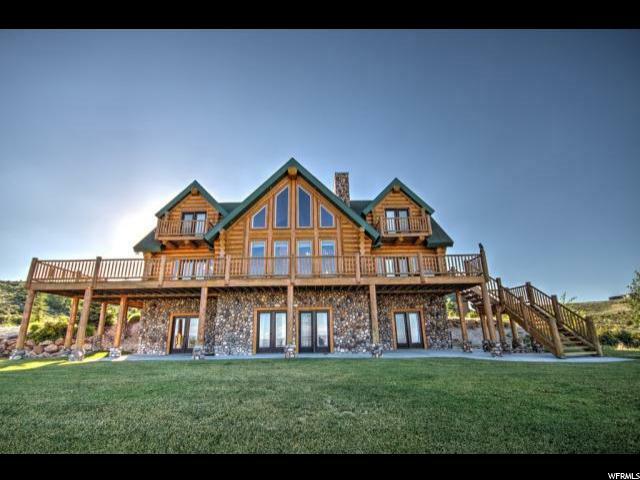 "Located in the small town of Fish Haven, Idaho in beautiful Bear Lake!! Short term rentals allowed. Plenty of room to grow with 1.5 acres. Horse property. Large kitchen and Master Bedroom. " "Bear Lake West cabin with a wrap around covered deck for amazing views of Bear Lake! Features an open floor plan, vaulted great room with large view windows, two rock fireplaces, jetted tub, and wood accents throughout. With four bedrooms including a bunk room, three bathrooms, two living rooms, and a game room, there is plenty of room for all of your guests. Year round access and easy access driveway. Close to Fish Haven Canyon trailhead for ATV/UTV, snowmobiling, horseback riding and hiking. Amenities include discounter golf at Bear Lake West golf course, pool/ht tub, tennis courts, clubhouse, Cooper's restaurant and beach access. Cabin being sold mostly furnished. " 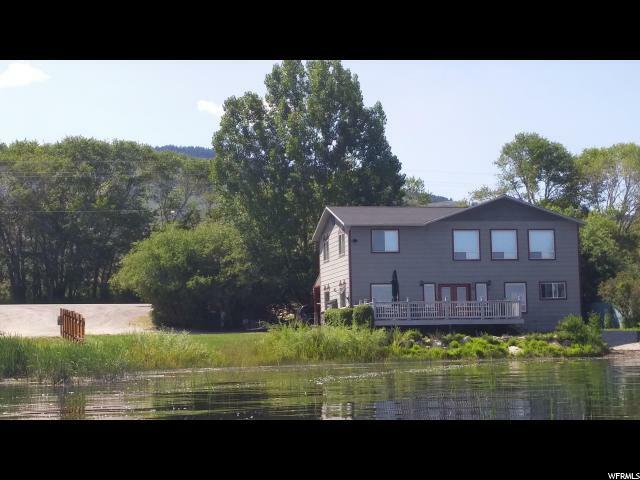 "Come enjoy great views of Bear Lake, golf, tennis, pool/hot tub, Cooper's Restaurant and beach access from this cute cabin in Bear Lake West. Corner lot, easy year round access, wildlife. Cabin has open dining, kitchen, living room along with a sunroom, Trex deck, pellet stove, 12 x 22 garage. Sold furnished including dishes, pots and pans. Sleeps 12! Call listing agent now for more details! " "Golfers dream! 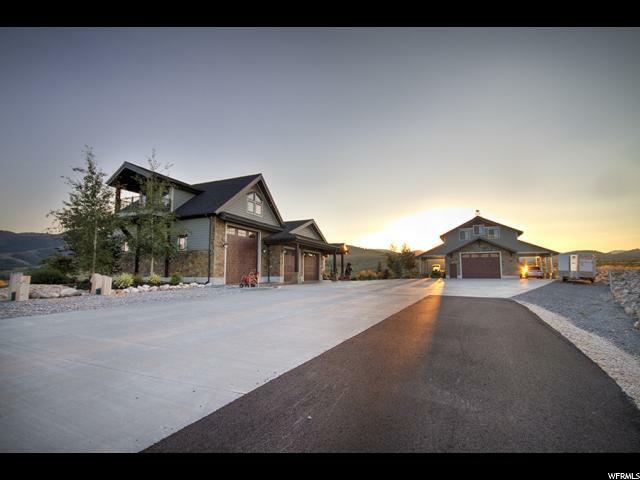 Beautiful home right on the Bear Lake West Golf Course! 3 car garage with living space above. Plenty of room to build another structure or lots of parking. High end finish work throughout the home. Tank less water heater, granite, gas stove, lots of windows. Bear Lake West HOA offers road maintenance, private pool, tennis courts, and a private beach access! Don't miss out on this great home. Home is being sold Furnished. " "BEACH FRONT! Own 1/4 in LLC - one week per month for private resort fun! Designer interior furnishings. Slate, Tile, Berber Carpet, Knotty Alder, Stainless. Two living rooms: one with floor-to-ceiling gas-log fireplace, the other with 60-inch HD FLAT-SCREEN / Blu-Ray player. Ping-Pong Table. RAFT & Two 3-place WATERCRAFT for swimming & WATER-SKIING. Four HONDA ATVs for miles of mountain TRAILS! Amazing GROOMED SNOWMOBILE TRAILS! GOLF COURSE in minutes! Year-Round FUN! Very unique vacation property with SHORELINE location! VALUE PRICED!"